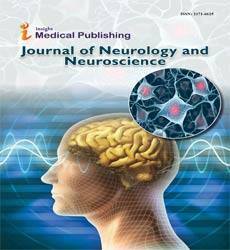 Journal of Neurology & Neuroscience publishes original research articles of outstanding medical importance. We will consider manuscripts of any length; we encourage the submission of both substantial full-length bodies of work and shorter manuscripts that report novel findings that might be based on a more limited range of experiments. Journal of Neurology & Neuroscience is self-financed and does not receive funding from any institution/government. Hence, the Journal operates solely through processing charges we receive from the authors and some academic/corporate sponsors. The handling fee is required to meet its maintenance. Being an Open Access Journal, Journal of Neurology & Neuroscience does not collect subscription charges from readers that enjoy free online access to the articles. Authors are hence required to pay a fair handling fee for processing their articles. However, there are no submission charges. Authors are required to make payment only after their manuscript has been accepted for publication. The standard article-processing charge for Journal of Neurology & Neuroscience is USD 1819. 1. Loker WM (1996) "Campesinos" and the crisis of modernization in Latin America. Jour Pol Ecol 3. Available: http://www.library.arizona.edu/ej/jpe/volume_3/ascii-lokeriso.txt .Accessed 11 August 2006.